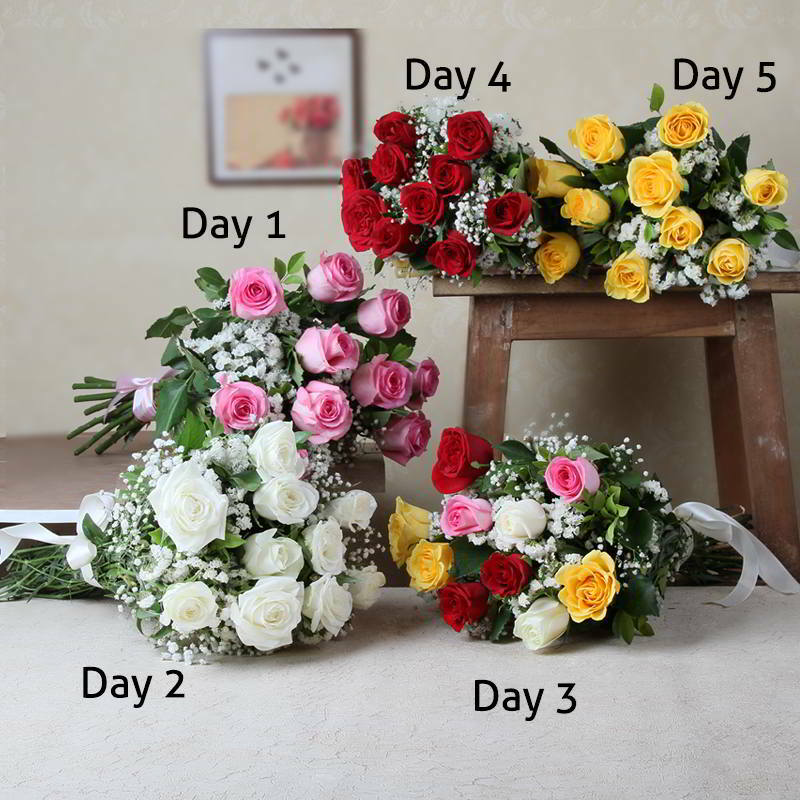 Product Consist: Day1: Bunch of 10 Pink Roses :: Day2 : Bunch of 10 White Roses:: Day3 : Bunch of 10 Mix Roses:: Day 4 : Bunch of 10 Red Roses:: Day5 : Bunch of 10 Yellow Roses. 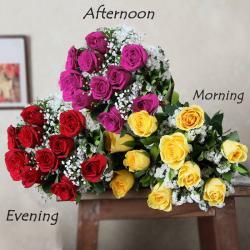 Surprise your loved ones with lovely Roses bouquet consecutively five days in a row. Mention your starting desired delivery date during checkout & get your gifts delivered to your loved ones at their doorstep. 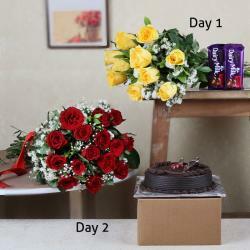 This opulent gift combo makes for a perfect gift to send best wishes on special occasions like birthday, wedding anniversary, Valentine Day and many more. So go ahead and book the order now. This immaculate gift combo brought to you by Giftacrossindia.com is cuteness personified. 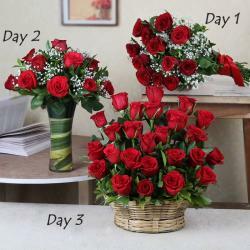 Product Includes: Day1: Bunch of 10 Pink Roses :: Day2 : Bunch of 10 White Roses:: Day3 : Bunch of 10 Mix Roses:: Day 4 : Bunch of 10 Red Roses:: Day5 : Bunch of 10 Yellow Roses.